Additional housing and longer inner cables are included in extra-long kits. 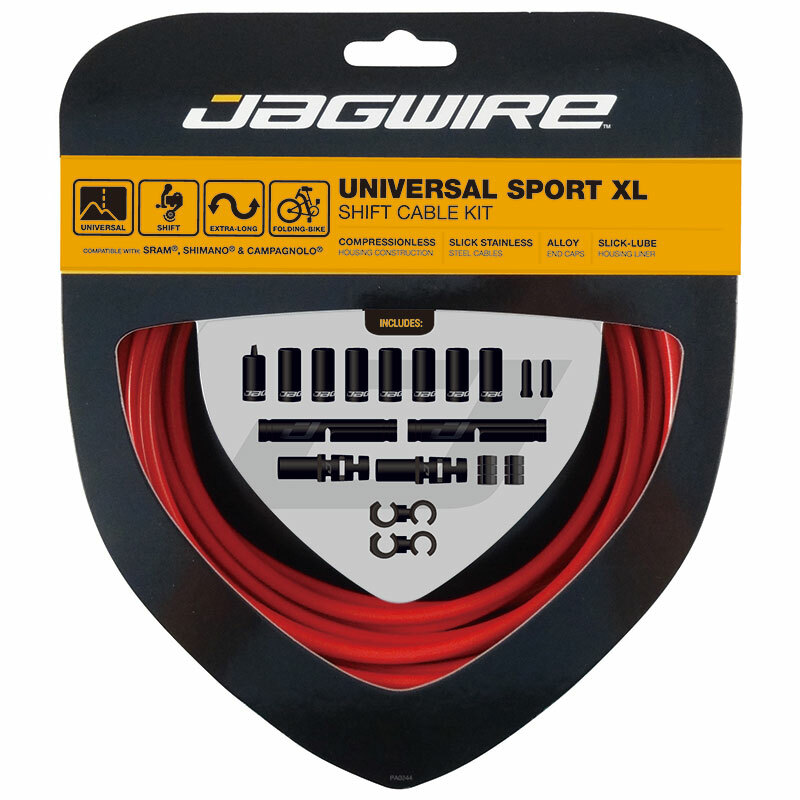 Extra length and anti-kink end caps are all part of folding bike cable kits. Designed for folding bikes or bikes with unusual builds, our Universal XL kits include anti-kink end caps and longer cables and housing. Our shift kits make it easy, coming with stainless, slick, double-ended cables compatible with SRAM®, Shimano® and Campagnolo® systems.